As Emmanuel Macron prepares to pitch a dynamic new France to dozens of business leaders on Monday, many are wondering if the former banker can first win over his opponents. 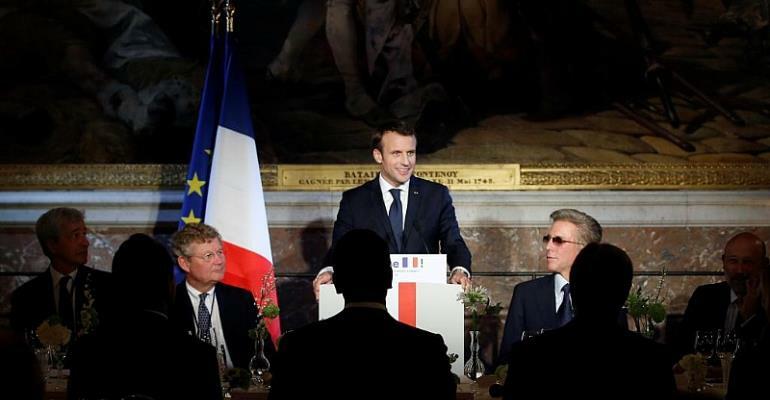 Macron is gathering 150 top executives at the Versailles palace for the second edition of his Choose France summit, to show off reforms aimed at drawing more foreign investment. Executives from blue chips like GE and Microsoft to tech darlings like Uber and Snapchat are expected to attend. Last January the young centrist was basking in the success of labour and tax law overhauls and stressing how he had delivered on promises to make France more competitive and attractive. This year, however, the unnerving images of street fighting and vandalism during two months of fiery “yellow vest” rallies against him could make such claims a more difficult sell. “It’s a completely new picture — Macron is all alone and facing serious opposition,” Jean-Paul Betbeze, an economist who has watched several governments grapple with reform drivesn told the French news agency AFP. Last Saturday’s protest, the 10th since November, drew 84,000 people, and sporadic clashes again broke out against the 80,000 police deployed nationwide. “The country’s attractiveness has collapsed,” Frederic Sanchez, head of international activities for the Medef employers’ federation, said earlier this month. The government insists the protests haven’t dented the country’s appeal as the second-biggest recipient of foreign investment in Europe, behind Germany but ahead of Brexit-bound Britain. It points to an update in December and early January of the annual survey by the Business France promotional agency , which showed the violence had not shaken that conviction. Foreign investments in France surged nearly 40 percent last year to 44 billion euros, statistics office Insee says, with the government touting new projects by Google, Toyota, Facebook and Novartis. “Overall foreign executives remain positive on France’s attractiveness, and the progress made over the past 18 months hasn’t been called into question,” the Finance Ministry said last week. France is also banking on multinationals coming to France in the wake of Brexit, particularly from the financial sector. “For now nobody is telling us they’re cancelling a move to Paris because of the yellow vests,” said Robert Ophele, head of the French markets regulator AMF. “However they are wondering about the consequences of this movement, and how long it will last,” he said. Economic growth has already slowed markedly in recent months and is expected to reach just 1.5 percent for 2018 according to the Bank of France, after 2.2 percent in 2017. The decline reflects in part the toll taken by the protests, which saw dozens of stores looted in Paris and other cities and forced others to board up their windows during the crucial holiday shopping weekends. Meanwhile, finance Minister Bruno Le Maire confirmed Sunday that Amazon, Google, Facebook and other US digital giants will face a new tax on their French earnings starting this year. Macron’s woes could also provide grist to populist anti-EU movements elsewhere just as he is trying to spearhead a pro-Europe alliance for European Parliamentary elections in May. Surveys for the vote already show his Republic on the Move party neck-and-neck with the far-right National Rally led by Marine Le Pen — his opponent in the 2017 presidential run-off. With the odds no longer solidly in Macron’s favour, business chiefs may well listen politely to his speech Monday, but wait and see if France can indeed become the nation Macron wants.